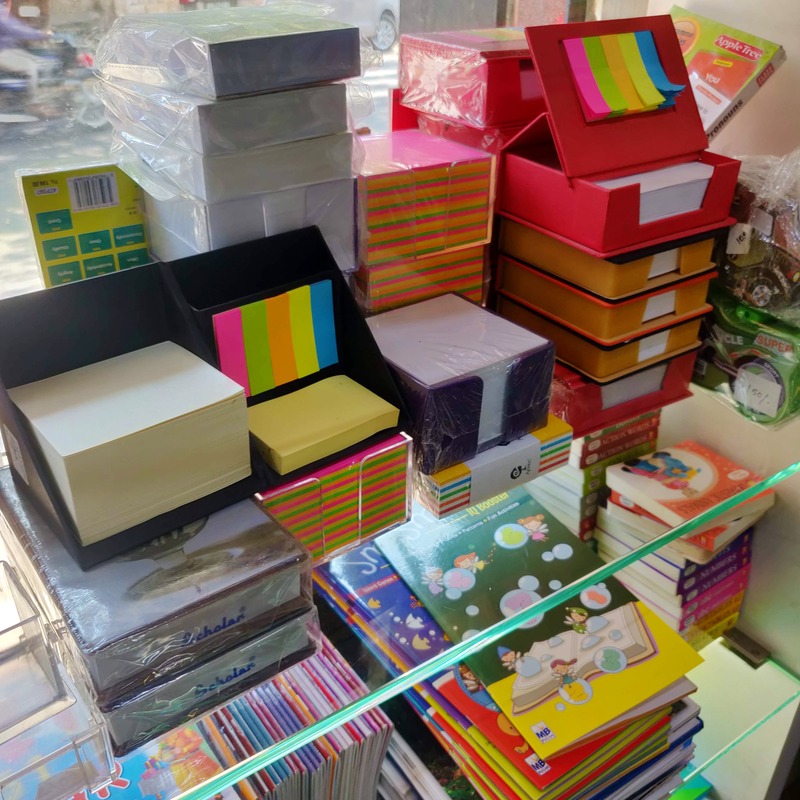 Yes, we know of the best stationery stores which have a variety of washi tapes and stickers, but Akash Stationers in Kilpauk has that and much more. To get all the files and folders to organise your stuff, Akash Stationers will get you rolling. From paints and diaries to pencil boxes, we scoured through every shelf at this stationery store and the expanding cheque files caught our eye. These are files in the size of cheque books, made of cotton or jute and are stretchy, so you can add multiple things into these cheque folders. Neat, huh? We also found a bunch of compact pen stands, folders and files, notebook pouches, file organisers, and small storage boxes at the store. If your obsessions is sticky notes and post its, they’ve got them in every size and colour at this store starting INR 20. Square, rectangle, blue, maroon, page markets, find every kind of sticky note for all purposes here. They’ve also got multi-purpose pencil boxes and pouches with doodles and quirky paintings. Pocket notebooks, journals, diaries, drawing sheets, scrap books, there’s plenty of journals to go around here. These are priced from INR 150.